I think for me, it’d have to be my birthyear Dunhill Cumberland billiard, and the tobacco would be McClelland 40th. Nightcap and any large bowled pipe will do. Plenty of time for those long contemplative smoking sessions. My Rinaldo Lithos bent bulldog, and the tobacco would be McClelland/Ashton Pebblecut. If we are limited to in production tobacco, it would be Gawith Full Virginia. It's now pitch black. You're likely to be smoked by a grue. Can I have two blends if I roll a d20? I'd like Rattray's Marlin flake and a morta devil anse please. I'd have Royal Yacht and as large a magnum Canadian as possible. I'd put the Royal Yacht in the water, hop on, and use the magnum Canadian to paddle to the nearest civilization. 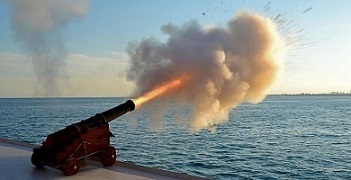 That's the only possible use I can find for Royal Yacht aside, perhaps, from burning in a barrel to kill mosquitoes. My $20 vanilla pipe and err GLP Meridian. The tobacco would be St Bruno Flake and the pipe less important. Something with an acrylic stem. Maybe my bent Stanwell Featherweight. 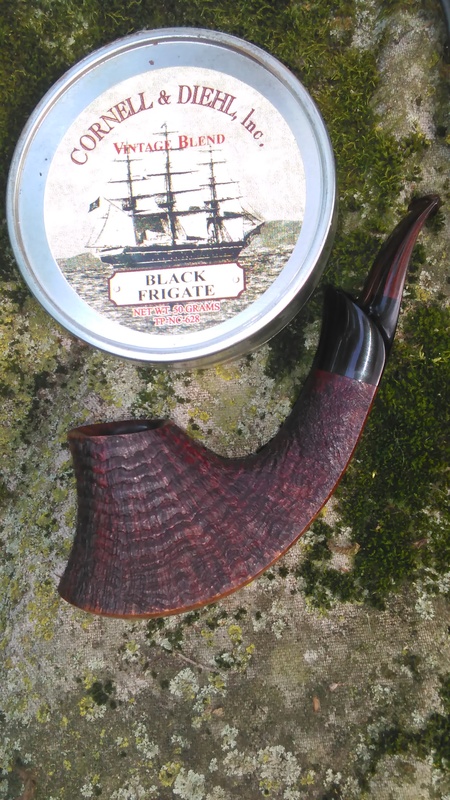 Hmm Captain Black Grape and pipe from Amazon of dubious manufacture. That would provide me enough motivation to get off that island. If anybody's read Robinson Crusoe, there's a bit where he's sick and tries to make a tea out of tobacco leaves soaked in rum, which makes him even more sick. He does reference pipe smoking several times throughout the book. 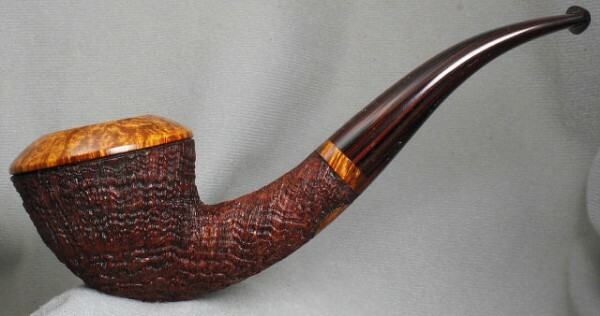 Solani 633 Virginia Flake with Perique and my Ser Jacopo blasted Dublin. Probably a Falcon stem with 2 bowls and some strong slow burning burley. What? No pipe cleaners? Well the blend must be Royal Yacht, and the pipe matters less. A well built straight billiard with 9 mm filter will do I guess ..
OK I'm going with Royal Yacht too! No Hal o The Wynd. Wait, can I change my mind? I meant Full Virginia Flake. 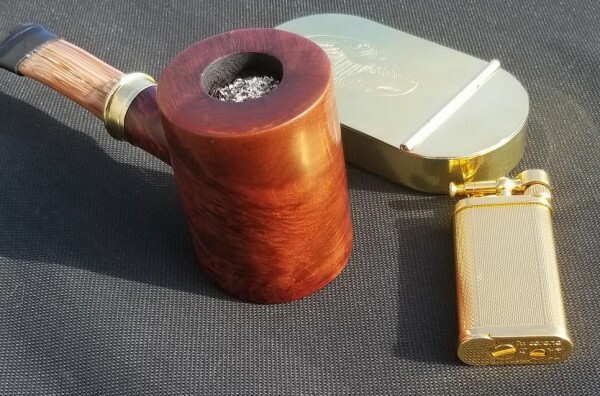 My Blatter Select sandblasted straight Rhodesian and J. F. Germain & Son - Germain's Brown Flake. I've been working on this aged tin of MacBaren Virginia Flake. It's pretty awesome. Right now, I'd take a crate of that and my Viking Classic bent Dublin that handles the flakes so well. 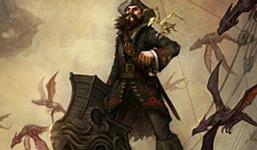 That ONE pipe would probably have to be a meerschaum of some kind, just so's I can smoke as often as I feel like without worrying about resting it and the tobacco of choice would have to be Black Frigate! What about the rum? Did the rum make it? Please tell me the rum made it ashore safely! A big bowl Savinelli 315 EX and FMC. 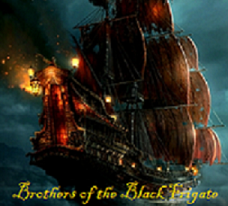 CarolinaChurchwarden - Sorry, no, the rum aboard the ship you were on which was lost at sea... did not survive. However, because your pipe selection was based more on the fact that you only get one - and therefore, there is no rotation possible, as being stranded creates other unique problems to consider unless you are going to smoke out of a hollowed-out coconut - your reasoning for choosing "a meerschaum of some sort" is more along the way I was thinking about the problems surrounding the specific situation; rather than simply selecting the lone pipe found in the chest "because this is my favorite". While your answer addressed getting the maximum mileage out of the one pipe you are afforded under the conditions presented, my thinking was about the concerns of durability; but in another way. That lead my personal answer being to select the military-bit pipe in my collection, which rather than possibly break at the stem in the event of a fall or other impactful mishap, it would likely give-way on impact, rather than snap at the bit - which would otherwise leave me with a broken pipe and no replacement, yet tons of tobacco. Screw the tobacco. Just give me MaryAnn. McClelland Red and Black. Then you can have the red, the black , or the red and black. Not sure about the pipe. The Twilight Zone frowns on those who try to willfully alter the reality they find themselves in... therefore, Sable and Folanator, you both suddenly find yourselves sharing one small island together - and not with Ginger, nor with Maryanne, but with Mrs. Howell - and you have to either fight over her,... or, share her. Well, then screw the old sailing ship. I'll take the train. This month I'd say my Becker lovat and some McClelland Yenice Agonya. But...Ginger is beautiful but seems like a pillow queen. Mary Ann is a farmer's daughter. Easy peasy. 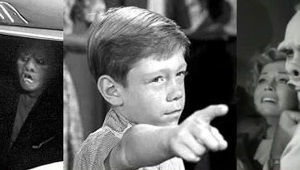 Sherm, you're heading for the corn field. McLelland Oriental no 12 and a Tsuge Thunderstorm Tankard pipe. Durability and smokable in breezy conditions with the wind sleeve. Sable - LOL! Like this? You Ginger or Mary Ann guys are nuts. Mrs Howell is the choice to make, imagine the levels of cellulose. My tobacco would be a 2001 vintage of Fribourg & Treyer Cut Virginia Plug along with my Rad Davis Calabash. Having found myself at odds with an unreasonable crew and set adrift a time or two, I always grab a Savinelli of one style or other and a batch of Balkan Supreme. Fortunately, some lass or another as always missed my company enough to come looking for me before I ran out of tabacco! Stokkebye Amsterdam 83 and a thin-walled Medico brylon (no filters). I'll take something very basic in something indestructible. The one Nate King just developed and showed me at the STL show. It's based on Star Trek transporter technology. You just clench it, imagine where you want to be, and after a few sparkly seconds... there you are. No more deserted island for this kid. The tobacco? Doesn't matter. I won't be sticking around to smoke it. Captain Black Grape and pipe from Amazon of dubious manufacture. Guess there are worse things than grues. Prince Albert and a Savinelli Bing's Favorite. I will take the Rad Davis Calabash that Harris will give me as a Bon voyage present and as much Brigham Hudson Bay as Rod Serling can provide. What ONE pipe is inside the chest, and what is ONE the tobacco mixture you find inside the chest? SPC Plum Pudding Special Reserve in a Boswell Shot Shell Poker pipe (flame grain). Any Castello Opera 44 and any Virginia Flake (Or Sillem’s Commodore Flake). Npod - The chest will give you an endless supply of one tabak - but only one - while you are marooned on the deserted island; so there is no "or" option in the situation. Please stand before the chest, open it, with your cold and empty Castello Opera 44 in hand, look deep inside the chest, and tell us the one tabak which you find inside... Choose carefully, as that mixture will be keeping you company on the deserted island day after day after day after day. Peterson’s Irish Flake & a Peterson’s XL02 (Lestrade) in Roslaire line. Reason, I lreally enjoy the pipe & the buzz from Irish Flake would help me forget about the sake I’m stuck on an island. Reading the forum over the years, one gets the impression that shipwrecks are a lot more prevelant than you hear on the news, especially amongst pipesmokers. I’d be weary of getting on board a ship with other pipesmokers. Well, I was surprised most by my own answer - considering the pipes and ll the interesting tabaks I could choose from - however, with all things considered (and for durability on a desert island with no spare, repair, or replacement) I decided on my only Grabow pipe, a smooth Omega with the military stem, and for the tobacco, good old Prince Albert. FVF and Missouri Meerschaum Mark Twain. My Ismet Beckler meer and Pirate Kake. 40th Anny and a high end Savinelli 305. Better order, throw MaryAnn to the sharks to have peace and quiet and more time to smoke. Well I never thought Id want a Castello 44 but boy that shape is speaking to me. Thanks Npod :D, darn PAD. Are we all stuck on the same island? Asking for a friend. Id choose my birth year Dunhill Tanshell 4107 and some McClelland 2015.